Biologists believe hybridization threatens Montana’s unique westslope cutthroat trout population. Fisheries Biologist Amber Steed with Fish, Wildlife and Parks Steed said the Flathead River system of northwest Montana has a large part of what remains of pure westslope cutthroat trout. 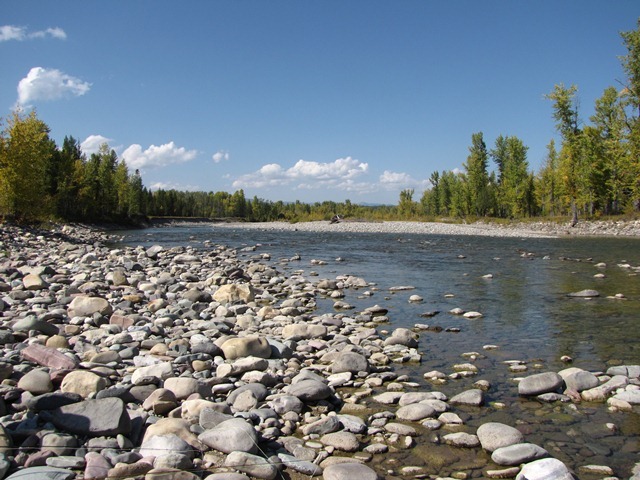 “The South Fork alone is a very unique resource with over half of what remains of interconnected, open migratory cutthroat trout habitat, and if you include the rest of the Flathead; we have over three quarters of what remains in the state,” Steed said cutthroat trout have been reduced to less than 10-percent of their historic range in the U-S.
FWP started working on the issue of rainbow trout cross-breeding with westslope cutthroat trout in the Flathead in 2000 on Abbot Creek, downstream from an old, private rainbow trout fish hatchery, and connected to the North Fork of the Flathead River. Steed said they’ve been seeing hybrid trout spreading north, up the North Fork of the Flathead River, into Glacier Park, along tributaries that have been strongholds for westslope cutthroat trout. The initial attack included using a barrier, trapping fish, and electroshock fishing. The Environmental Assessment for this project expired and a new one is out for public review. Steed says now they’re looking at 5 streams; Abbot, Sekokini, Rabe, Ivy, and Third Creeks in the mainstem and the North Fork of the Flathead River. “The ultimate goal is to maintain as many relatively pure, genetically pure cutthroat trout populations in the Flathead drainage,” Steed said. Tools biologists are using to stem the spread of hybrid trout in the newest Environmental Assessment includes trapping, electroshock fishing, and genetic sampling to gauge the effectiveness of their efforts. The latest plan will cover the next 10 years. Public comment is due by March 8th with field work to start this spring.